Today, there are so many options for hearing music it has become a constant companion. But are we really listening? For much of our daily lives, music has become incidental. It’s there in the background like sonic wall paper, but we’re focused on other activities we are pursuing at the time. It’s great to have music available to us wherever and whenever. But, the range and depth of emotion that music provides through a quality stereo system in your home is a uniquely powerful experience. When it is really heard – when you are really listening - music has the ability to plumb the heights and depths of every emotion. It is so fundamental to our being that a particular song can cue up a past memory of a moment in our lives. So how could we not want to enjoy it in the best possible way? Why restrict ourselves to background sound, compressed files and limited dynamics? Let’s explore some system possibilities that will get you to the heart and soul of your music. While music systems come in all shapes and sizes, we can roughly categorize a music system into a few key areas. The first step is a high fidelity source. That might be a CD player like our RCD-1570, the latest in a long line of award winning Rotel CD players. In spite of many new digital sources, the billions of CDs extant still provide a deeply emotionally satisfying music experience with a quality player. You may have little idea how great your CD library can sound! Or it might be a computer or streaming media player connected to any Rotel integrated amp or preamplifier, all of which offer high quality digital inputs (optical, Toslink, USB and Bluetooth) and on-board Digital to Analog conversion. You will be amazed at how good these sources can sound heard through Rotel electronics. You may well also hook up a turntable to play vinyl LPs – new or vintage. Every Rotel preamplifier and integrated amplifier includes a high performance phono stage, too. Still one of the easiest and most accessible ways to play your music, CDs offer great sound quality in a digital format. What you need to play it – A CD Player, such as the RCD-1570. A vintage format that is making a comeback, vinyl LPs keep the audio in the analog domain. What you need to play it – A Turntable, phono cartridge (sometimes called the “needle”) and a specific phono input on the electronic component (integrated amplifier, receiver, preamplifier etc.). A phono cartridge can be a Moving Magnet or Moving Coil design, along with a few more esoteric types. Moving Magnet cartridges are the most common, and offer relatively high output. 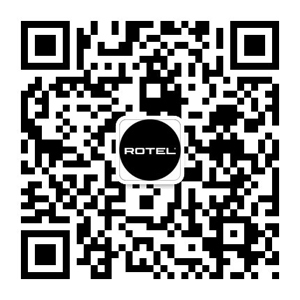 All Rotel phono inputs support Moving Magnet cartridges, and some also support Moving Coil. There are a large variety of different music file formats, some of which offer CD quality or even better resolution, while others are compressed and vary in quality. For the best quality, stick to either uncompressed formats such as WAV or AIFF, or “lossless” formats such as FLAC or Apple Lossless (ALAC) which reduce the file size while retaining the original quality. Formats such as AAC, MP3 or WMA are “lossy” formats, so while the size of the file generally tends to be much smaller than uncompressed or lossless, the tradeoff is reduced sound quality. What you need to play it – A portable player like a smart phone or iPod, and/or a streaming player such as Sonos or AppleTV, or a computer. FM broadcasts have been around since the 30s and while one of many sources today, broadcast radio is still perhaps the most ubiquitous. Although the sound quality can’t compare to CD and other full resolution formats there is always a wide variety of FM stations to choose from. Newer formats such as Satellite, DAB (for European markets) and HD Radio have moved broadcast formats into the digital domain - although the quality is often compressed they can offer an improvement over FM radio in terms of breadth of content. What you need to play it – A Tuner, such as the RT-11. One of the reasons for the decline in FM radio popularity has been due to the large increase of internet radio streaming services such as Pandora, Spotify or internet radio stations. These stations and services can stream over an internet connection to your music system. With a few exceptions, streaming audio quality tends to use compressed formats such as MP3 or WMA and so the quality won’t be as good as CD or an uncompressed music file. Newer streaming outlets, such as TIDAL and Deezer, are beginning to offer CD quality and possibly better fidelity. What you need to play it – An internet radio tuner such as the RT-12, or a streaming player such as Sonos or AppleTV. Once you have a high fidelity source, the next link in the chain is deciding on a suitable system that offers all the connectivity to connect your music sources, and also has enough amplification to power your speakers. The two key components here are the preamplifier and the power amplifier. Think of the preamplifier as the brains of the system. The preamplifiers job is to provide enough inputs for you to connect all of your sources, as well as to provide volume controls and other adjustments such as tone control. When considering a preamplifier, make sure it offers all the connectivity you need. Plan on using your iPod to play your music? A front USB input will ensure you can. Using a turntable? Make sure the preamplifier has a dedicated phono input. Want to stream music from a Sonos Connect? Use a coaxial or optical input for best sound quality. Where the preamplifier is the brains, the power amplifier is the brawn. The power amplifiers’ job is to take the audio signal from the preamplifier, amplify it and send it to your speakers – ideally with as little distortion as possible so that the music coming out of your loudspeakers is as close to the original recording as it can get. It’s important to consider factors such as your room size and what loudspeakers you plan on using when choosing an amplifier. You want to make sure your amplifier has more than enough power to drive your speakers effortlessly at all volumes, and can handle even the most demanding music passages without distorting. A relatively easy way to get to audio nirvana at a modest budget is with a Rotel integrated amplifier – a preamplifier and amplifier in one chassis. For decades, we have been known for providing performance beyond expectation and much of the credit for this goes to our integrated amplifiers. Our integrated amps, such as the RA-12 or RA-1570, are powerful components with a full range of analog and digital inputs. There are few speakers they can’t drive comfortably, and they don’t take up much space. They are simple to connect, easy to use and built to provide years of enjoyment. Little wonder they are a favorite choice. If you do have the available funds though, nothing can beat the performance of separate components, as they are optimized specifically for getting those very last acoustic details and letting the music communicate to you in an even more deeply emotional way. With a range of amplifiers that can be matched to larger speakers, including even the most power hungry and dynamically capable, our famed separate amps (available in several power configurations up to the mighty RB-1590 at 350 watts per channels) will let you optimize your system to get all the detail, scale and, well, power of the music you love. Rotel preamplifiers offer refined circuitry to bring out the best in every source connected, and to beautifully match a companion Rotel amplifier. Whichever separates “stack” you choose, be assured that Rotel’s expertise developed over 50 years of manufacturing audio components will provide you with exceptional listening enjoyment beyond compare. The last (but certainly not least!) major component of a good music system is the loudspeakers. Speakers come in a wide variety of styles, shapes and sizes, so determining what speakers work best is likely as much about personal taste as it is your room size, layout and budget. However, there are some general guidelines when considering speakers. The room size and layout will play a major factor in speaker selection. Is it a large room that can fit floor standing speakers? Or is this a small bedroom system that may be better suited a small pair of bookshelf speakers? Or perhaps the room or preference is for in-wall or in-ceiling speakers? Regardless of what type of speaker you choose, it is critical that your loudspeakers and the power amplifier are well matched, as a poorly matched system can ultimately result in damage to the speakers and amplifier. The first thing to consider when matching speakers to amplifier is the impedance. Most loudspeakers will have a rating between 4 to 8 ohms (Ω). The lower the impedance, the more difficult the speaker is to power and the harder an amplifier has to work to output sound. When matching a speaker to a power amplifier, the average (nominal) impedance of the loudspeaker should not be lower than the amplifiers specified minimum speaker impedance. Another important factor is the speakers recommended power handling. This figure is usually a wattage or range of watts that is considered the amount of power that the speaker can handle over a period of time. In an ideal scenario the continuous power output of the amplifier should be well within or higher than the recommended power handling of the speaker. Why higher? Because it is actually easier to damage a speaker with an underpowered amplifier that is driven into distortion than one that has more headroom than is required by the speaker. Good sense should always be applied, however – if the speaker is clearly straining, turn the volume down! How much power the speaker actually needs will depend on how the speaker will be used as well as the room size; generally speaking the upper value of the speakers power handling is for the speaker to be played at high levels in a large room, where the lowest value would be considered the minimum amount of power needed to achieve moderate volume in a small room. SUMMING IT ALL UP – Let your ears be the final judge! While research and comparing specifications and features certainly is important, equally so is hearing how everything works together. If you really want to experience all that music has to offer, you owe it to yourself to hear what a good set up can do at your nearest specialty audio dealer. There is no charge for the goosebumps! While we have tried our best to provide a brief but informative overview of a stereo system, we can’t possibly go into all of the details in this limited space. But, if you are interested you can purchase a copy of our Rotel Insider’s Guide. It is nearly 400 pages of everything you want to know about audio and video.